Joan Giblin began tutoring English over 15 years ago when she was awarded a teaching assistantship at Kansai Gaidai University in Hirakata, Japan. She continued tutoring as an English teacher in Tokyo, Japan. 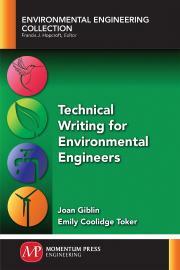 Joan has been tutoring engineering students at the undergraduate level in writing for nearly a decade. In addition, Joan tutors both undergraduate and graduate level students. Joan also has taught undergraduate courses for over 12 years. Joan currently oversees academic support at Wentworth Institute of Technology, including the writing assistance programs. Emily Coolidge Toker started editing for professionals and academics in the sciences, social sciences, and humanities while doing a master’s degree in cultural studies at Sabanci University, Istanbul, Turkey. She has taught graduate and undergraduate-level courses for sociologists, art historians, engineers, mathematicians, and scientists, and edited publications for academic, professional, and non-expert audiences in each of these fields. The field of engineering has a special place in her heart, as both her father and her brother are structural engineers.